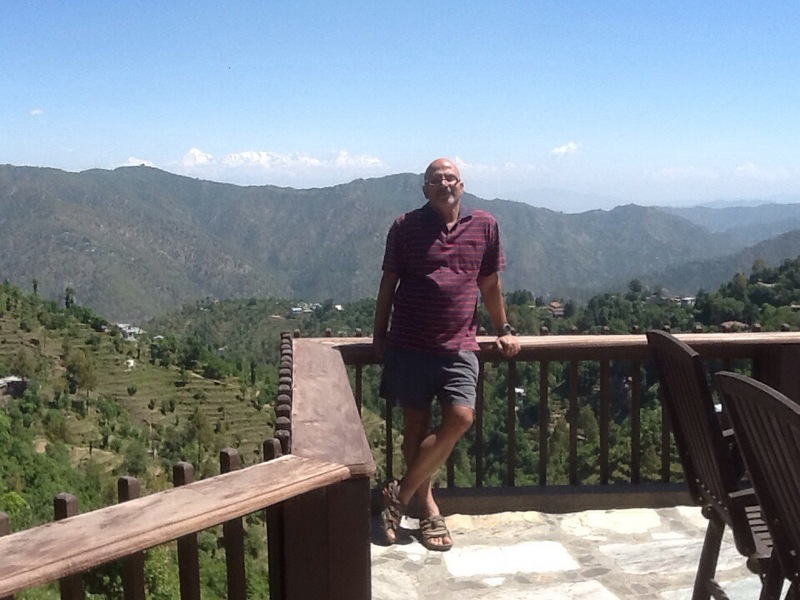 Krishnan’s birthday today will remain a special one for a long long time .. First, because we woke up to see the beautiful Himalayas, pristine and glorious. Second, because the country got its second Independence with the dramatic victory of the Modi led BJP. 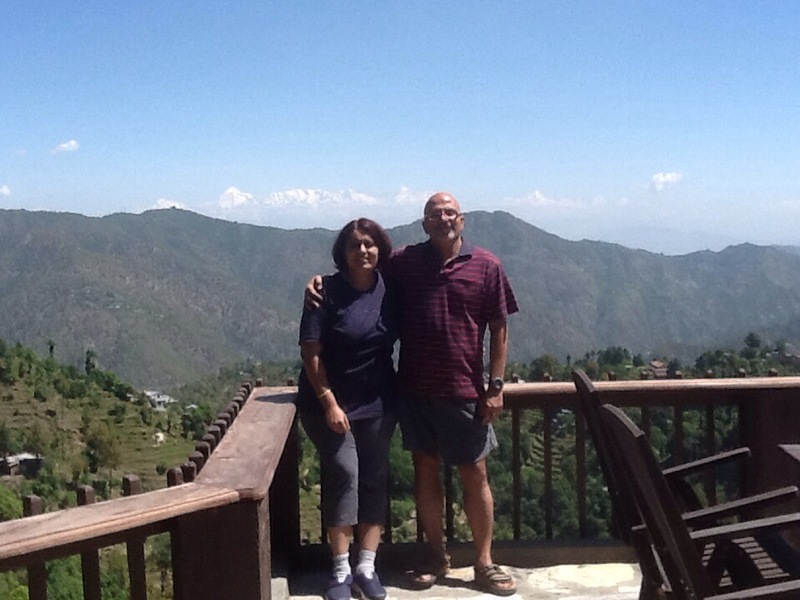 We drove down to Gagar, a small village about 25 kms from Nainital from Gurgaon yesterday. While some roads have been built near the Garh Mukhteshwar area … A stretch of 5 kms from Svaar to Kaldungi is so terrible that it added nearly an hour to the total time. We left at 7 and stopped for breakfast at Gajraula’s Bikanerwala. Reached Haldwani around 1.15 and reached the resort at Gagar around 3. The resort is called Soulitude and it’s beautiful. 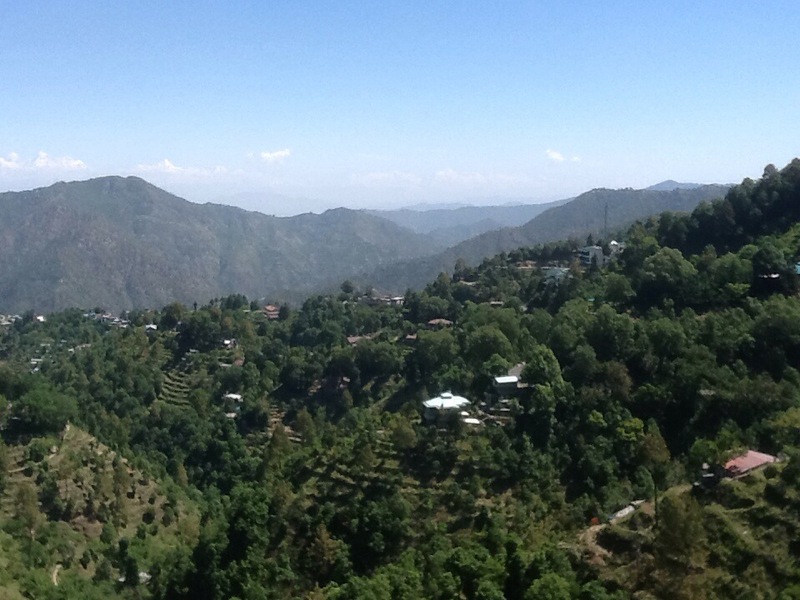 Gagar is about 2.5 kms from Ramgarh. I asked the manager if they could get a cake made and given to us at 12 midnight, and they did make the cake but arranged everything by 10 pm 🙂 near the TV room. We went to watch the election news and the surprise was lost :). So we celebrated Krishnan’s birthday by 11 PM last night. Today we walked down to Ramgarh and had breakfast and chai, then bought things from Himjoli’s store (honey and a type of dalia). The breakfast was at Bhattji’s restaurant – outstanding samosas, great chana (black) and paneer paratha. We are yet to eat at Shivam sweets. Will try the Jalebi tomorrow and see how it is. We got dropped back in a taxi and the driver told us that the Himalayan range was clearly visible only in the “r” months of Jan, Feb, March, April and then Sept, Oct, Nov, Dec. Only a lucky few got to see them in May – so thanks to nature and Nanda Devi to become visible today and in all their glory !. Ofcourse we stayed glued to the results on TV and it was great to watch NaMo romp home and my prediction that they will get 300+ seats on their own coming true. Now they don’t have to worry about coalition partners trying to arm twist them… Just hoped there could be a strong opposition, but that seems unlikely. But after 12 years of bitter opposition from every section of the society, this man has still had the energy to run an awesome elections, and become the PM of the country. Anyone complaining that “circumstances” aren’t letting them pursue their dream, stop, and remember Modi and what his circumstances have been. The tradition of double celebrations started this year with my birthday and graduation happening on the same day and now on Krishnan’s birthday, we had nature putting out a spectacle to behold and NaMo’s victory celebrations are happening all over the country :):) really nice and special birthday. Happy birthday to the love of my life and may every birthday of yours be celebrated just as grandly, for you are just as wonderful !! Many many many happy returns. Am lucky to be blessed with a Friend, Mentor, Kind Donor and supporter to my organization. Thanks to Mrs. Bindu Krishnan for connecting me to a wonderful person who is blessed with flair and versatility yet much kind at heart. I wish you get all and more that you wish. Thanks Mansoor for your kind words and wishes for my BD.